Australian Camera Magazine, Sydney, New South Wales, Australia, 6th April 1998. An exhibition in Sydney this month illustrates how one man’s fascination with Native American Indians led to a brilliant photographic career. In 1974 Andrew Hogarth migrated from Edinburgh, Scotland to New Zealand and then onto Australia, but this didn’t mean he settled down to the quiet life. He has, in fact, spent the last twenty-two years travelling, sharing his time between Australia, Great Britain and the United States of America, with many other voyages through the Pacific and South-East Asia. Still, he does call Australia home. As a youngster in Edinburgh he became fascinated with American Indians, and years later set out to discover native America for himself. That was in 1981. Unfortunately, travelling with a tour company and meeting just a few ‘token’ Indians proved a great disappointment. Yet this only strengthened his resolve, and since then he has travelled in excess of 200,000 kilometres through the Great Plains and Southwest region of the United States of America, rarely leaving the small dusty backroads. 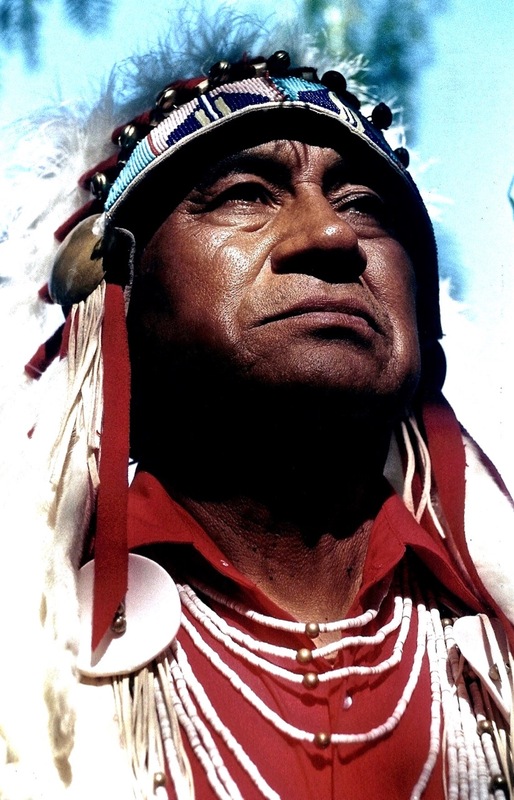 His fieldwork has resulted in the books, Lakota Spirit, Battlefields Monuments and Markers, Cheyenne Hole and Native lands, and these in turn have led to three major photographic exhibitions, the latest of which opens this month at Graphis Fine Art gallery in Woollarha, Sydney. Titled “Powwow: Native American Celebration” it couldn’t have come at a better time, as over the years there has been a continued growth in the cultural pride of American Indians, together with a growing interest in the subject in Australia. Certainly Australia’s native Aboriginals are themselves undergoing a change in cultural awareness. There are strong parallels to be drawn between the two cultures and Andrew Hogarth’s exhibition, in addition to its stunning images, helps explain just why there is such widespread renewed interest in native cultures.